Here at Time+Tide we receive a lot – and I mean A LOT – of emails from young brands directing us to their new watch launching on Kickstarter. The humble platform that began as a way for up-and-coming designers to tender their ideas – and, if they were good enough, have them brought to life – now crowded by cookie-cutter designs, each touting the same old story. Sorting the good from the less good can be a massive task. However, every now and then, through the fog of “industry disruptors” and “affordable luxury”, shine a few gems that, at least we think, are worthy of a second take. Here are five examples from the sportier end of the Kickstarter spectrum. 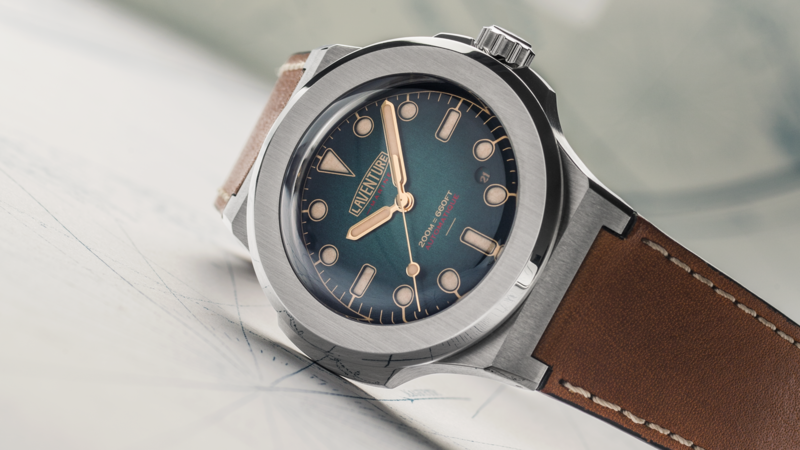 The Laventure Marine can more than boast about its Swiss-made designation, with more than 90 per cent of the watch produced in Switzerland. With a 200m water-resistant case inspired by dive watches of the 1960s, namely the Patek Philippe Nautilus, this is a sports watch made for exploring. And it’s good-looking to boot, with a stunning array of colourful dial options – blue, green or brown – and a nicely decorated ETA 2824-2 movement inside. 1670 CHF. The first release from the Swiss/American team behind Moduco focuses on the raw and industrial design of the urban environment. Delivering a sandwich-style dial with hands brought to action by either a Sellita SW200 automatic or Ronda 513 quartz movement. What first grabbed our attention, however, was the excellent use of case finishes, from the polished and brushed cylindrical case centre, to the sandblasted – and sometimes PVD-coated – case body. Pre-order prices start at $299 USD for quartz. 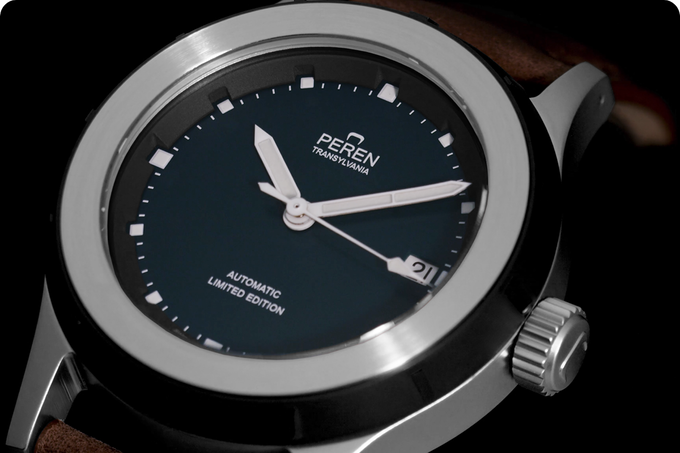 As far as backstories go, Transylvanian watch company Peren is like no other – just look at the fanged logo. For their third release they’ve continued to embrace the mythological history of their homeland with a murky deep green/blue dial inspired by the Devil’s Lake in the Nera Gorges of Transylvania. Boasting a 200m water-resistant 39mm case, this value-packed little diver has a sleek PVD-coated rotating bezel and also utilises the venerable ETA 2824-2. 590 CHF. 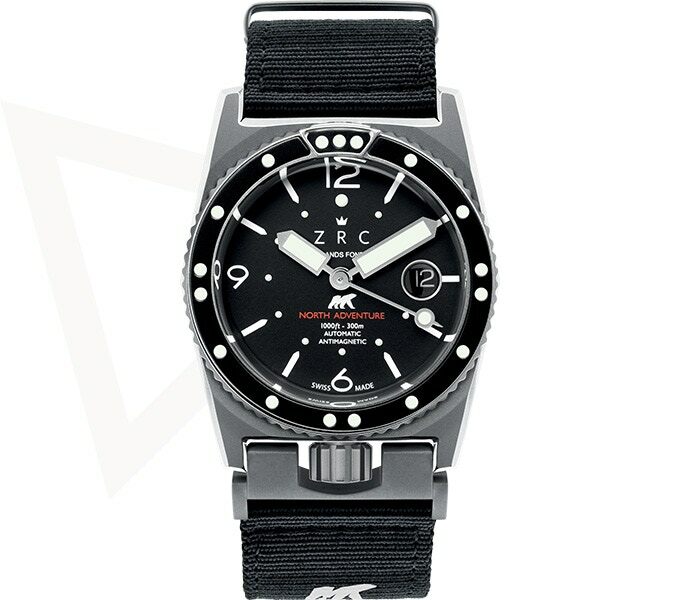 The original ZRC Grand Fonds served as a dive watch for the French Marine Nationale, and along with the company has a history that is far too long for me to go into any detail here. What’s important, though, is this faithful re-creation also sports a few modern touches, like a 300m rating and a sapphire bezel with proprietary built-in cleaning system. 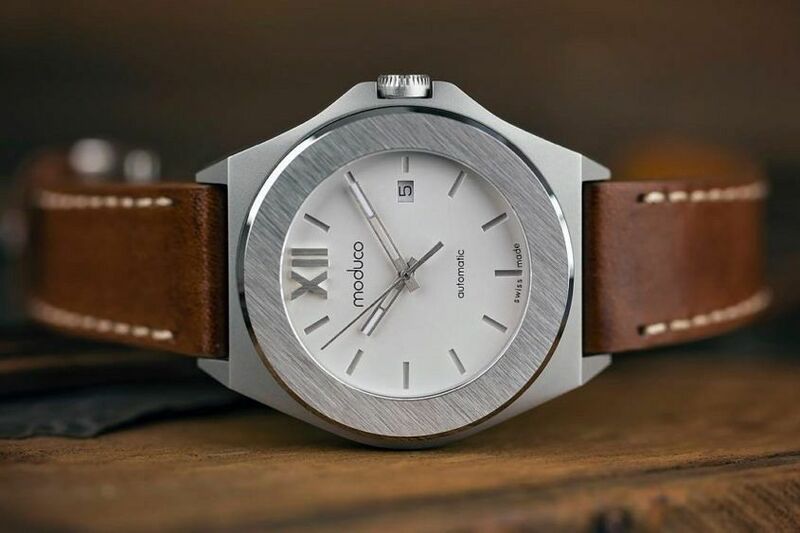 However, this Kickstarter campaign was a little different, with funding not only getting you a watch but also going towards a crossing of the Northwest Passage by Arctic explorer Alban Michon — of course with the Grand Fonds 300 North Adventure on his wrist. From 1390 CHF. To finish things off is something a little different to the others I’ve mentioned here. 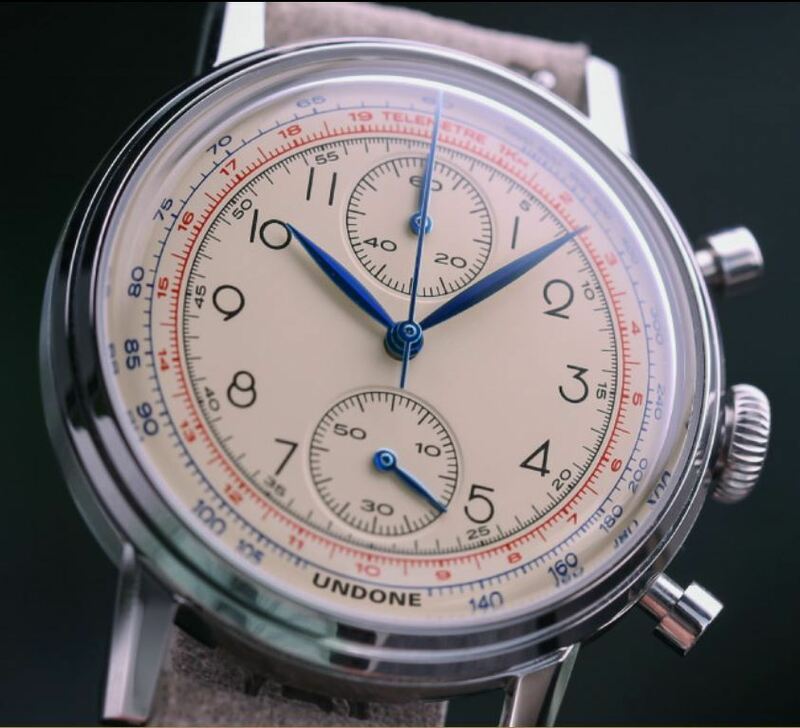 Undone’s second Kickstarter release is the meca-quartz powered chronograph Urban Vintage collection. Completely customisable, there’s a selection of case colours, hands, dials and straps to choose from, using their online customiser. And, to truly make it your own, you can even add your initials or logo. However, if you’re as decisive as a cat at the back door, there’s also a few ready-made versions available. My pick would be the Killy, as pictured here. From $295 USD.